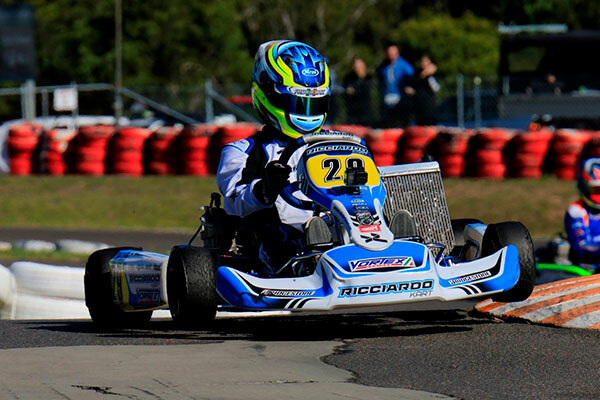 Wellington’s Ryan Wood ended up best of the Tasman-hopping Kiwi karters with a 10th place finish in the Iame X30 class Final at the second round of this year’s SP Tools Australian Kart Championship presented by Castrol Edge (AKC).at Newcastle’s Mt Sugarloaf kart track on Sunday. 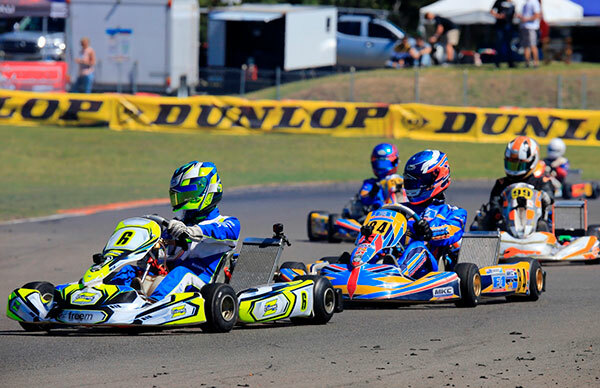 With their numbers reduced to three because of the late withdrawal of Rnd 1 standout, 8-year-old Aucklander Maxim Kirwan – Wood qualified back in P20 for the first two Heats but stormed through the field for a weekend-best 4th place in the first Heat then 9-9-13 run through the others for a P8 grid start in the Final. From there he had a roller-coaster ride, up to P7 then back down to P11 before a final surge netted him a well-earned P10 (out of a field of 39 starters) at the flag. Fellow Wellingtonian, Rianna O’Meara-Hunt again struggled to find a workable chassis set-up because of all the lead she has to run to make up the Minimum All-Up Weight (MAW) of the Iame X30 class. Not even a chassis change made a difference with the former Junior class star qualifying back in p33 for the first two heats then finishing in P32 in the first three heats before working her way up to a weekend best P29 (from P37) in the Final. 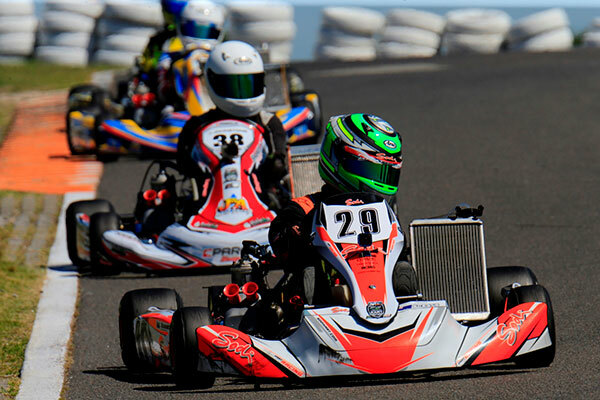 Auckland teenager Liam Sceats again showed good speed and race craft in the premier Junior category, KA2 (Vortex ROK DVS), only to dnf the Final. He was the best of the Kiwi trio in practise (qualifying in P10 for the first two heats) before an 8-9-8-10 run through the heats saw him start the class Final from P5 on the grid. That was as good as it got for him however as he was out of the race by the 6th lap.